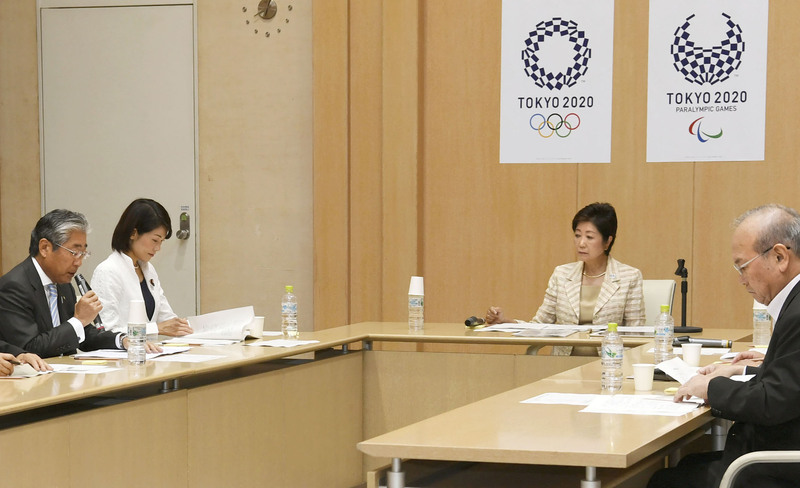 The Japanese Olympic Committee on Friday disclosed the results of investigations into allegedly dubious payments Tokyo’s bidding team made to a consultancy to win the 2020 Tokyo Olympics. JOC President Tsunekazu Takeda told a meeting of entities involved in preparations for the 2020 Olympics that an investigative panel has concluded that the massive contracts Tokyo signed with a Singaporean consultancy as part of its bid were not illegal or against the ethics code of the International Olympic Committee. “We have caused everyone to worry, but the doubts have been cleared up,” Takeda told the meeting participants at the Tokyo Metropolitan Government building. As for the panel’s report, which pointed out that there was a problem with transparency in the procedures for concluding the contracts, he expressed regret and pledged to learn from it. The panel of two lawyers and an accountant set up by the JOC issued a report Thursday dismissing allegations that the payments were bribes. It said the contracts, worth more than $2 million, that Tokyo’s team signed with Black Tidings before winning the hosting rights in September 2013 were expensive but not intended as a gift. As for the lack of transparency, the panel noted that the bid team’s secretary-general and other officials who often acted on behalf of its then-chief Takeda did not thoroughly explain the payments when asking for his permission. On concerns that the postponed relocation of the Tsukiji fish market could affect preparations for the 2020 Games, Tokyo Gov. 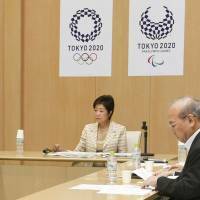 Yuriko Koike said she will consider measures and make efforts to ensure the situation does not cause delays for the Olympics and Paralympics. Koike on Wednesday the planned relocation of the historic fish market to the Toyosu waterfront district in November had been delayed, citing concerns about soil contamination at the new site and the murky project’s mounting costs. A highway is planned to pass through the vacated Tsukiji site to connect central Tokyo with the main Olympic venues, concentrated in the waterfront area. Former Prime Minister Yoshiro Mori, head of the Tokyo Olympic organizing committee, asked Koike to signal when construction of the highway can begin as soon as possible. Meanwhile, the IOC said Thursday that officials in charge of ethics and compliance are examining the investigative panel’s report and will continue to cooperate fully with French authorities, who are conducting their own investigation. Black Tidings is headed by Ian Tan Tong Hon, who is known to be close to Papa Massata Diack, son of disgraced former International Association of Athletics Federations President Lamine Diack. The Tokyo team’s payments — which were more than double the average — were suspected to have been directed toward the elder Diack, who as a member of the IOC at the time had a vote in deciding the host city for the 2020 Games. The panel report said the JOC’s payments were legitimate as Tan was in a position to gain access to secret information regarding the host city bid and certified that the contract yielded solid results. The account that received the money was used to transfer funds in the cover-up of a Russian doping case, according to the World Anti-Doping Agency, and French authorities are looking into whether the money led to the elder Diack.